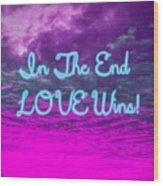 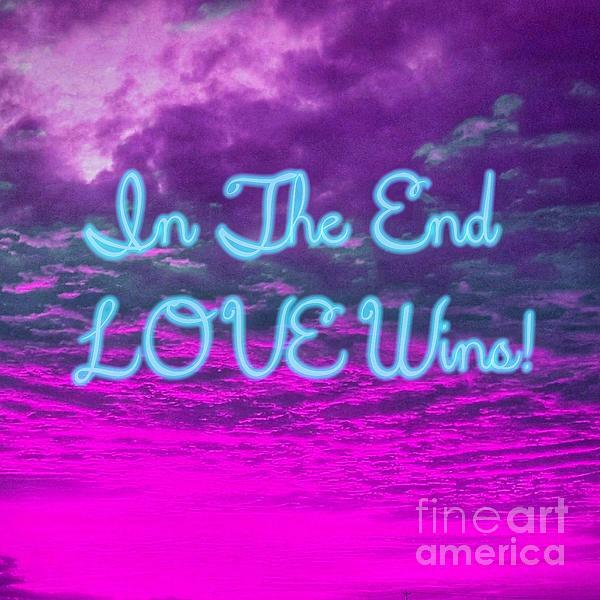 A photograph of a cloudy sunset that I digitally enhanced and created pink dreamy clouds and added the words In The End LOVE Wins! 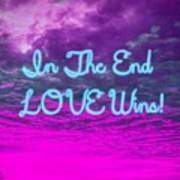 I truly believe this! Love is my highest inspiration.